We are committed to making you feel at ease inside and outside the classroom. We plan a whole variety of Tours and Activities so that our students can strengthen their relationships and have the opportunity to spend fun-filled and refreshing afternoons and whole days together while on holiday. Tours are included in our Learning Holiday Programs or can be purchased separately; students can join them and they can invite friends from inside or even outside the school. The main language spoken during the tours is Italian, but of course there’s the possibility to speak also in English, so that all students (of every level, from beginner to advanced) can understand and get involved. 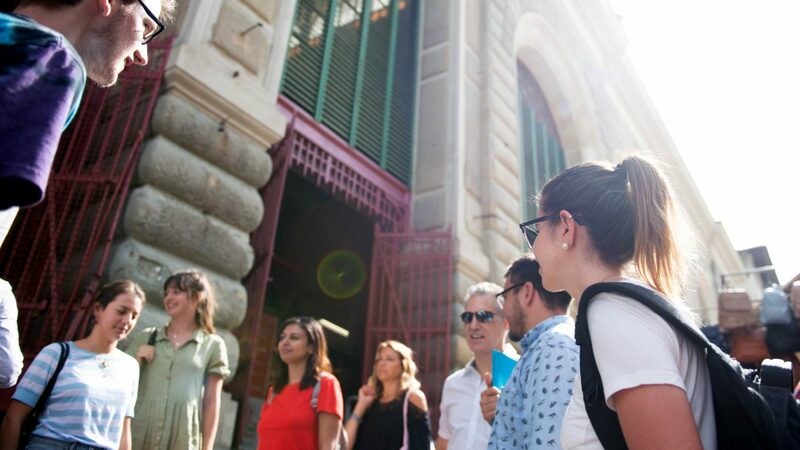 Our weekly Learning Tours are aimed at discovering – above all – the city of Florence, its neighbourhoods, its monuments and the vibrant hubs of city life. Every week you can see a new side of the city, through different lenses and insights. We are lucky enough to a have a teacher – Maurizio – with a deep knowledge of all of Florence’s hidden quirks and stories, and like him all our guides can lead you to all the incredible aspects of our great city! A spectacular guided walk on the hills of Florence at Monte ai Croci, with visits to the Rose Garden, the stunning panorama of Piazzale Michelangelo and the magnificent church of San Miniato al Monte, one of the most scenic churches in Italy, and a thousand years old. This tour starts from the greatest and most famous masterpiece of the city: the Cattedrale di Santa Maria del Fiore, and it is a journey into all the breathtaking monuments: the Cathedral, the crypt of Santa Reparata, the Baptistery, the Campanile (from the outside), all the little gems that the square hides. 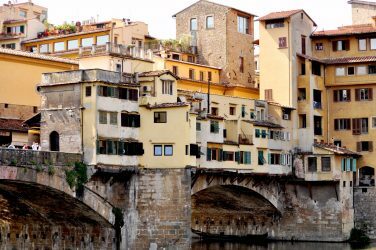 A walk through the most authentic and real Florentine quarters, just over the Arno river; with bars and antique shops, art studios and peculiar taverns, and in fact it has recently been rewarded by Lonely Planet as one of the coolest neighbourhoods in the world. A beautiful area found just in the outskirts of the city, which rises on the hill immediately behind Florence. Among woods and olive groves, and the Roman theater that is still active and a testament to the town’s history, Fiesole takes you to a whole new world, through its incomparable atmosphere of calm and majesty. Florence is a city that has changed hugely throughout the various phases of its life. With this tour you can discover and explore the still vivid and visible traces of medieval past, from the Romans to the Renaissance, Florence’s era of maximum splendor. A tour through some of the major craft workshops in the city centre, which even now continue the main historical heritage of the city: handicrafts and figurative arts. After your mind has worked for a whole morning, you need to refresh and calm it through our Yoga Courses, held by our Director Barbara (certified Yoga teacher). The lessons are designed for everyone, from the very beginners to the more advanced practitioners and involve two kind of practices: Ashtanga Yoga and Yin Yoga. Every week there’s at least one Learning Tour or activity that requires tickets or entry passes at some levels. To make your life easy we offer a lump sum cost that can include all of the different options, to give you everything you need, without any organizational effort on your part. A Renaissance garden, with trees that are centuries old, fountains and a breathtaking view. It was only recently opened to the public, and so is still relatively unknown. Home of Michelangelo’s famous and celebrated David. In this magnificent museum you can discover an amazing collection of Renaissance and Gothic Florentine paintings, other great sculptures by Michelangelo and a collection of paintings of Russian Icons. A visit to discover the first great basilica of Florence and its convent; a museum of Gothic works of the great Florentine artists, from Giotto to Masaccio; and the most ancient pharmacy in all of Europe (which has been continuously active for 4 centuries). One of the most famous museums in the world, with exceptional collections of paintings and sculptures by Giotto, Piero della Francesca, Botticelli, Leonardo Da Vinci, Raffaello, Michelangelo, Caravaggio, which date back to the 14th century and Renaissance period. A UNESCO World Heritage Site since 2013, these are rural building complexes owned by members of the Medici family between the 15th and 17th century. Country palaces of the family, which were used to show their power and wealth, but were also a place of leisure and pleasure of the owners, while agricultural activities took place in the surrounding areas. This particular tour only covers the villas in the immediate vicinity of the city of Florence. One of the most beautiful and richest churches in Italy, and the best example of Gothic style architecture in Florence, with a whole array of illustrious Italians buried inside. A Renaissance Charterhouse, found just outside the city, among the complete tranquility of olive groves full of places to think. A slightly more original destination, outside the traditional tourist routes. A place of extraordinary value, hidden in the center of Florence, and built by the Medici family behind the church of San Lorenzo, to show off their power. A unique museum to discover the timeless majesty of the most famous monuments in Florence: the baptistery, the dome, the bell tower and all the works of art preserved by the Florentine diocese. The historic residence of powerful figures in Florence. 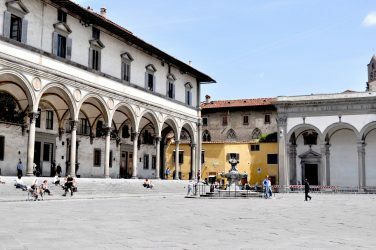 Built and inhabited by the Medici family, it was also used by the powerful Italian figures when Florence was the capital of the country; now it houses several important collections of paintings and sculptures, art objects, porcelain and a costume gallery. A series of leisure activities to discover our beautiful places, chat and make friends, between a glass of wine and breathtaking discoveries. After five days of lessons, it is time for the weekend and time to relax. For you and your new friends made at Europass, we offer trips to the main Tuscan and Italian cities, excursions to the seaside or countryside and visits to the main events taking place in the surrounding regions. Do not miss the opportunity to participate in these all-inclusive tours, with professional guides, tickets and transportation included! On request we can organize any one-off workshop or experience offered in our Learning Holidays, and we have a wide variety of professionals we collaborate with on many different projects. You can have the chance to experience the regenerating effects of the wellness treatments from SoulSpace Spa. It is located inside the Galletti Palace, the same as Europass, and there you can choose single treatments or take part in a whole dedicated programme. The love of our teachers for the Italian language and culture does not only stop at the linguistic aspects. Most of them are qualified to give lessons also on Italian culture, literature and cinema; Italian history and the history of art. If there is something you are interested in knowing about our country’s culture, just ask! We look forward to seeing what we can do to help! 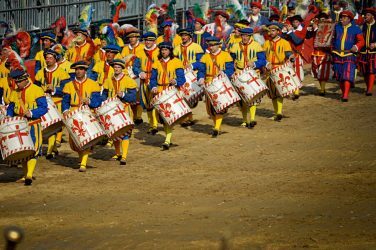 If you are interested in building a whole holiday according to your hobbies you can tell us your main passions and what you would like to take part in during your stay in Florence. As soon as we know what you like, we will find the right place in Florence where you can go and get in touch with the locals.